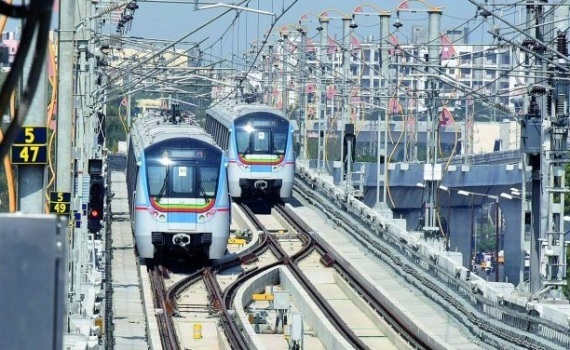 New Delhi: Metro projects get further boost with central government giving in-principle approval for six metro rail projects in the country. The information was shared by union housing and urban affairs secretary, Durga Shankar Mishra. The six projects that have been given a nod include: Agra, Indore, Bhopal, Delhi (phase-V), Meerut and Bhopal under the New Metro Policy. The central government officer also informed that similar approval has been obtained for the Delhi-Meerut stretch of Rapid Rail Transit System (RRTS). Union housing and urban affairs secretary further shared that now the process for getting financial approval will begin. These projects receive certain funding from central government via Public Investment Board (PIB) whose approval is required. On the other hand central government has already forwarded the proposal of Delhi-Meerut RRTS to the finance ministry for appraisal. Mishra stated that central government is committed to expanding metro projects in Delhi. The capital city cannot be left in lurch and some way has to be worked out for laying of phase –V project. He also shared that owing to Delhi metro rail, six lakh vehicles has been averted. This has significantly helped in reducing the impact on environment by decongesting city roads. The projects that have received in-principle approval have been given green signal as they match the New Metro Policy in place. As per the new policy for metro, certain components have to be made under public-private partnership. This is one clause that was objected by former Delhi Metro chief E Shreedharan. In the meantime, the urban affairs ministry has informally standardised the rolling stock for all future Metro projects, which comprises the coach width and the configuration of trains with a set of three, six or nine coaches in every train. The uniform standards published in May also specifes the actual speed and design speed of trains besides the signalling system. In order to push Make in India drive of Prime Minister Narendra Modi, metro rail firms have been asked to procure from domestic players. The aim is to promote standardisation of all systems and products that will lead to cost reduction as well as augment production in the country. Next articleHyderabad Metro | Odourless Urinals to convert waste into Bio-Fertilizers!